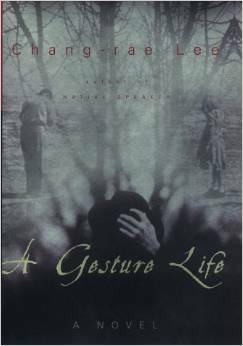 Once again, with Chang-rae Lee’s lyrical, quietly powerful novel A Gesture Life, a work of fiction is the lie that tells the deepest truths – who we really are, and the lengths we go to deny that truth. In the charmingly rustic, affluent village of Bedley Run in upstate New York, Franklin Hata has built a life of tranquility, material success, and some distinction. An ethnic Korean born in Japan and raised by a prominent Japanese family, Hata served as a medical officer in the Japanese army in World War II. In the early sixties, he emigrated to the United States, where he carefully selected Bedley Run as the place to build a new life – it reminded him of the small Japanese city where he grew up. There, he settled and opened a medical and surgical supply store. But the good Doc Hata can no longer choose to go silent and unseen. His carefully constructed life of propriety and accommodation, gesture upon gesture, including one a most profound gesture of atonement, begins to unravel. Masterfully, Lee slowly reveals the mystery, the secret shame buried in the deepest part of this man’s soul.